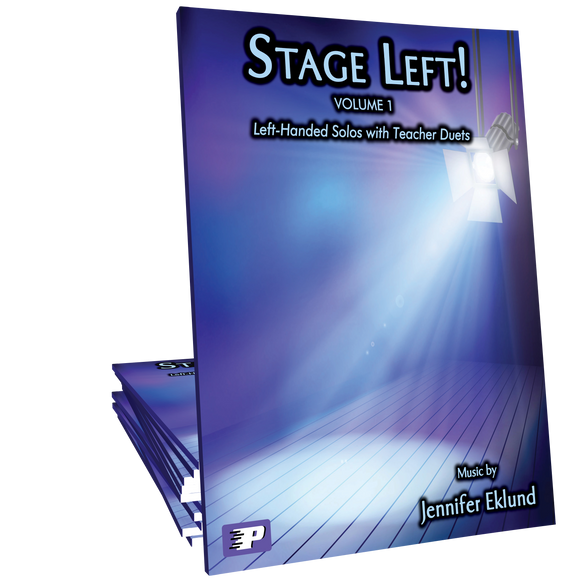 Stage Left is a book of 17 beginning level, multi-key solos written for left-hand only featuring familiar melodies that have been refreshed with modern rhythms and free backing tracks. Great exercises for strengthening bass clef reading, left-hand dexterity, and exploring transposition. 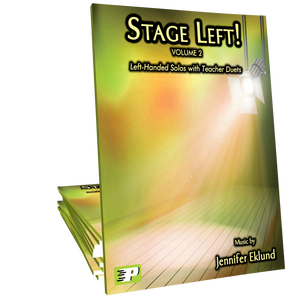 This new second edition now contains teacher duet parts for each piece. 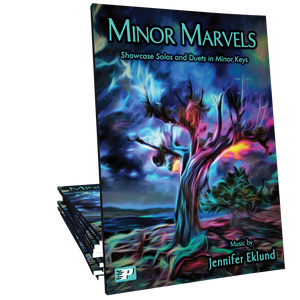 I love this book for reinforcing bass clef reading. I give this to my students as soon as they know bass clef C through G. I also have used it for students who have injured their right hand and need something to play. Stage Left is perfect for bass clef review as already mentioned. 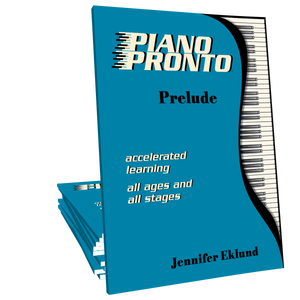 I love to give these pieces to my Prelude students for reinforcement before moving them into Movement 1. Someone always gets an injury and has to go one handed for a little while- it's awesome to have a resource like this to pull out! Lovely songs and perfect for some bass clef review. Fantastic idea! 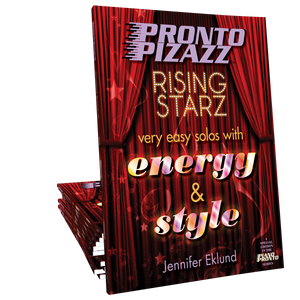 Most of my students will be using this book for extra bass clef reading. Love the super fun backing tracks as well! 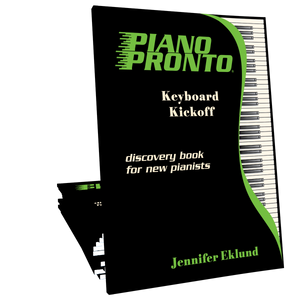 A brilliant addition to the Piano Pronto collection. I have yet to meet a student who doesn't struggle at least a little with bass clef reading. 90% of my students will be completing this collection! I will be using this with EVERY student in my studio! This is excellent for more practice with bass clef reading, which I find, a lot of students need. And super awesome to have cool backing tracks, too! This is wonderful. Perfect for my student who needs reinforcement with bass clef reading. Great for sight reading too. Thank you.